Caring for someone who is no longer able to live independently is a responsibility that often falls to family members. While there are some blessings and memories to be made with this time, there is no doubt that being a full-time caregiver is also extraordinarily stressful. Fortunately, Medicare recognizes that caregivers are human and will occasionally need a break to rest and recoup or take a vacation with other loved ones. This time away is vitally important for maintaining the mental and physical strength that is often required to be a primary caregiver. Medicare’s benefits for beneficiaries include some provisions for coverage of respite care. 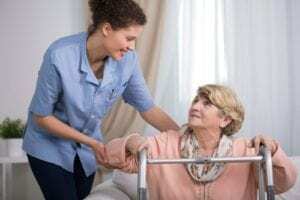 Let’s look at how Medicare will cover respite care in 2019 and beyond. Respite care is care provided to offer a temporary rest or break to someone who is a primary caregiver. This care includes helping a patient with regular activities of daily living like dressing, bathing or toileting. It may also include transportation to medical appointments, meal preparation or administering prescription medications. Sometimes qualified respite caregivers may also provide skilled care. For respite care to truly provide relief and peace of mind, the primary caregiver needs to know that their loved one is being cared for well by someone who is qualified to care for them. Respite care is sometimes provided in the patient’s own home or in an adult day care center. Other times it may be provided in a hospital setting or a long-term care facility. Patients may even find that they look forward to respite care as it gets them out of the house and meeting and interacting with new people. Original Medicare is made of up of Part A hospital benefits and Part B outpatient benefits. Part A is responsible for providing hospice care, and respite care falls under this. Medicare Part A will pay for respite care when a beneficiary has qualified for hospice because he or she is not expected to live beyond six months. To qualify for hospice, the beneficiary must sign a document or statement that testifies that he or she is choosing to be on hospice care rather than continuing to seek treatment to cure a disease or illness. Part A will pay for up to five consecutive days of respite care for hospice program patients. For the care to be covered, it must occur in a hospital inpatient setting. The beneficiary will have a coinsurance of up to 5% of the cost of the respite care. It’s important to recognize that this is not an ongoing benefit. It can be used occasionally to give the caregiver needed rest. Some Medicare beneficiaries elect to get their Part A and B benefits from a private insurance carrier instead of directly from Medicare. They do this by enrolling into a Part C Medicare Advantage Plan. Medicare Advantage plans must provide all of the same services as Original Medicare. However, they are different from Original Medicare in that they are allowed to include some ancillary benefits like dental, vision and hearing care. For 2019, the Centers for Medicare and Medicaid Services also approved for Medicare Advantage plans to include some new supplemental benefits that fall into the long-term care arena. These new benefits may include things like home safety modifications and meal delivery. There are also two new allowed benefits that would encompass respite care. Plans can include coverage for adult day care in a skilled or non-skilled setting. Coverage of this benefit would give a welcome relief to primary caregivers. Each insurance company would be able to set their own limits and rules for how often they offered this benefit. For example, they might set a cap on the number of adult day care visits allowed each year. Plans can also now include in-home support services, such as custodial care in the home. This would pay for an unskilled custodial care technician to assist the beneficiary with activities of daily living. Plan members should consult their plan’s Summary of Benefits to verify the number of days or hours allowed by the plan for this type of care each year. Because these supplemental home health benefits were first allowed in 2019, there are only a few hundred plans offering them this year. However, we may find that in 2020 and beyond that many more Medicare Advantage plans begin to use them.